One of the privileges afforded by membership in The Junior League is its Mission of “developing the potential of women.” The purpose of The Association of Junior Leagues International, Inc. (AJLI) is to add value to its member Leagues in their fulfillment of The Junior League Mission. One way this is accomplished is through various trainings offered to League delegates. 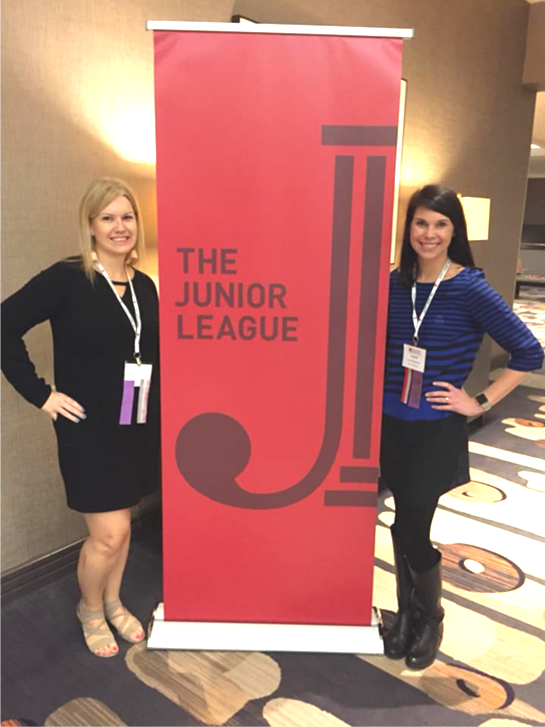 I recently had the honor of representing The Junior League of Tampa (JLT) at AJLI’s Organizational Development Conference (ODI) in Little Rock, Arkansas, along with JLT’s Membership Manager Laurel Moynihan. The ODI Conference was attended by 260 delegates from 99 leagues, including board members, chairs and members at large. We spent 3 days together collaborating and learning from each other. We attended plenaries, networking sessions, socials, and workshops. I attended the ‘Achieving Community Impact’ track led by Janine Le Sueur, AJLI Vice President of Programs and Lexi Higgins, AJLI Programs Associate. We discussed the concept of Issue Based Community Impact and evaluated how to determine the League’s community program focus. This tied in with member development and developing effective volunteers within our Leagues. The sessions encouraged active participation. I found this collaborative approach enlightening and benefited from learning what other Leagues are doing through their community programs. Laurel attended the Governing for Excellence: Achieving the League’s Mission through Effective Strategies’ track led by Past AJLI President, Carol Scott. The track focused how the distinctions between governance and management with Leagues. JLT adopted the new structure that separates governance and management three years ago versus the previous council system that we used to operate in. At ODI, Laurel and other delegates learned how the role of governance can enable the League to be more strategic and a well-run organization. We are excited to implement the concepts and tools learned through this valuable training. It is exciting to be a part of one of the oldest, largest, and most effective women’s volunteer organizations in the world, encompassing more than 140,000 women in 291 Leagues in four countries.